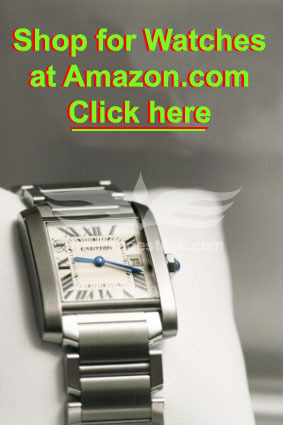 Reviews on nearly 200 brands of luxury and designer watches! Where to find the best prices and selection on luxury and designer watches. The latest news and updates in the world of fine watches. While there are hundreds, or perhaps thousands, of watch companies around the world, most of them build a product that is largely the same in appearance. The materials used may vary, and the technology that’s “under the hood” that makes the watch run may vary, but in the end, most brands of wristwatch offer a product that looks very similar in overall appearance to just about everything else that’s on the market. A few of them are so odd that it may take you a minute or two to figure out how to tell the time. That’s a feature, not a bug; the company was created in 1992 to create timepieces with some truly incredible styling. If you’re wearing Projects watches, people will notice. Even better – they’re quite affordable. Read on for the full Projects watches review. We see lots of watches from watch companies, and lots of watches from fashion companies, but we rarely see watches from jewelry companies. That’s odd; as watches are often sold in jewelry stores. For whatever reason, there aren’t a lot of companies that specialize in jewelry that also make and/or sell watches. 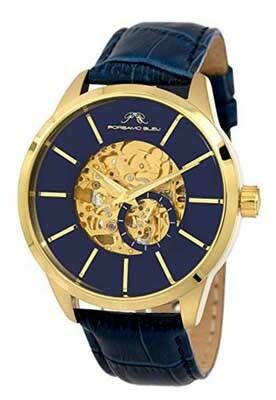 That makes Porsamo Bleu watches an interesting exception. The company was founded in Los Angeles via a partnership of two longtime jewelers. Porsamo Bleu watches is a partnership between third generation jeweler Moe Afshar and his creative partner Krisztina Csupo. They strive to make attractive jewelry that’s unique in styling while affordable in price. They make and sell bracelets, earrings, necklaces, and watches, with attractive styling and affordable pricing. Read on for our full Porsamo Bleu watches review. While some people buy wristwatches to have a quick way to tell the time, other people want a fashion accessory that will be noticed. If you’re looking for a watch that will definitely stand out, and not in a plastic or gold and diamonds sort of way, you might want to consider the timepieces from Pono Woodworks. 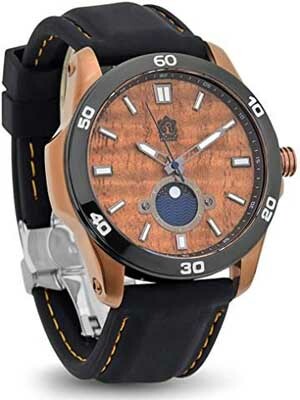 Pono Woodworks watches all feature Koa wood in their construction, and this element not only gives them beauty, but makes them stand out in a way that other watches do not. Read on for the full Pono Woodworks watches review. As people have different reasons for buying wristwatches, companies have different reasons for making them. 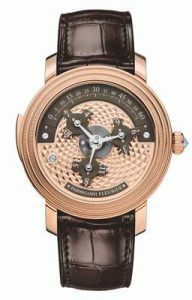 Some want to practice the art of watchmaking as art, pushing the limits of what mechanical devices can do. Others offer simple timepieces, and nothing more. 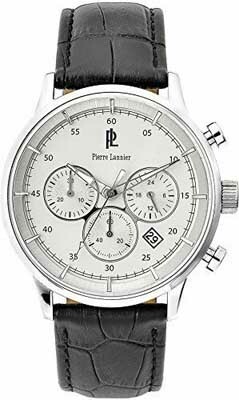 The third group, and perhaps the fastest-growing one, is the group of manufacturers offering wristwatches as a fashion accessory. That’s where Police watches come in. Police is an Italian fashion brand that got their start in 1983 making sunglasses. 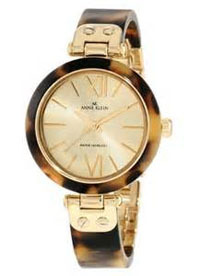 Their glasses became popular, so they’ve since expanded their product line into a variety of fashion accessories, and starting in 2003, they added wristwatches to the lineup. Over the years, the company has employed such well-known celebrities as George Clooney, Bruce Willis, and David Beckham to promote their brand. 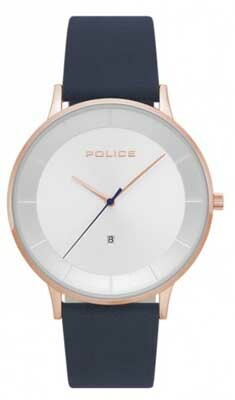 Still, Police watches are interesting to see, and they’re reasonably well built and they’re offered at a good price. Read on for the full Police watches review. Nautica watches, as the name suggests, are inspired by the sea and things, well, nautical. The company isn’t particularly well known, but they claim to be Italian. There are plenty of Italian watchmaking companies, though they’re fewer than Swiss or German brands. Still, nautical-themed watches, especially diving models and chronographs, are quite popular among watch buyers. Some like the additional features, others like the large case sizes, and others just like a watch that looks busy. If you fall into any of those categories, you’ll likely find something in the line that suits you. Women aren’t left out, however, as there are plenty of women’s models, too. They’re more colorful than the men’s models, but less feature-laden. You’ll also find a warranty that is considerably better than the industry average. 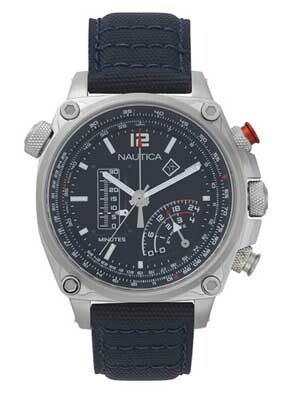 Read on for the full Nautica watches review. Mido watches have long been at the forefront of innovation, having established a number of industry firsts over their century of doing business. Today, the company is part of the Swatch group, and offer well-crafted but relatively affordable Swiss-made mechanical watches that offer a good alternative to the better known, but more expensive Swiss brands. 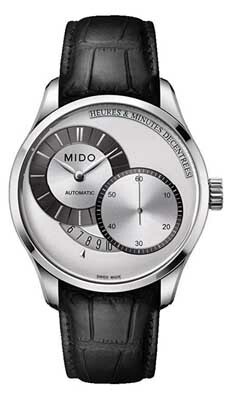 Read on for the full Mido watches review. It seems as though these days, any brand in any industry wants to have wristwatches to offer their customers. It’s true of fashion brands, to be sure, but it’s also surprisingly common for other industries to want to offer watches as a sideline accessory to their main product. That’s the case here; the company is primarily known for making automobiles, which they’ve been doing since 1914. They make fine cars, but a few years back, they started selling racing-inspired clothing and fashion accessories. You’ll find nice styling, adequate to pretty good build quality and pricing that is, compared to their automobiles, quite affordable. 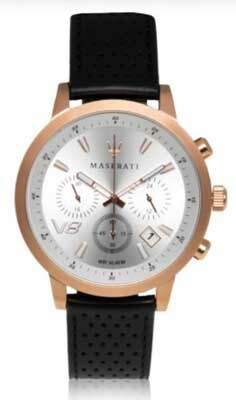 Read on for the full Maserati watches review. 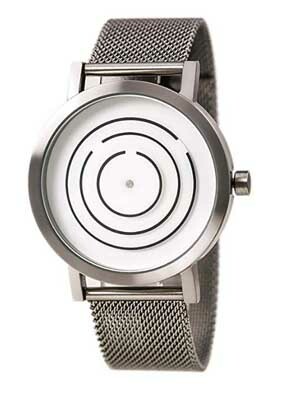 If you’re a fan of wristwatches but you aren’t familiar with Marc Ecko watches, don’t be alarmed. They’re among many brands that are offered as fashion accessories by companies that primarily sell products that are not wristwatches. In this case, the parent company, Ecko Unlimited, is an “urban fashion” company founded in New Jersey in the early 1990s. Their early targeted customers were members of the hip-hop and skating culture, but they’ve since broadened their product line to appeal to a broader segment of the public. 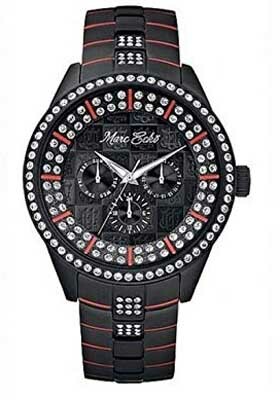 As with many fashion timepieces, the company’s watches are made for them by other companies, and they’re sold at a relatively affordable price point. Read on for the full Marc Ecko watches review.